CAREER HIGHLIGHTS: Farley has been Ford's head of Europe, the Middle East and Africa region since January 2015. 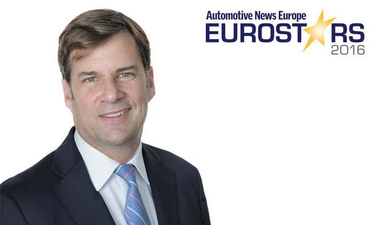 He came to Europe after serving as Ford's executive vice president of global marketing, sales. When he was appointed to that job in August 2010, it was the first time the automaker had a single global leader for marketing, sales and service. REASON FOR WINNING: Farley is on track to achieving an operating margin of 6 percent to 8 percent in Europe within the next five years. Ford of Europe set a new record in the second quarter with a pre-tax profit of $467 million. This was nearly three times higher than its result during the same period in 2015. The company's half-year pre-tax profit of $901 million was an increase of $782 million on the first six months of 2015, giving Ford of Europe a 6 percent operating margin during the half.